Your referrals are much more than business to us, they're the highest compliment we can ever receive! Refer a friend, colleague or family member to travel with Golftripz! We appreciate your loyalty and trust in our services and we reward it with our Golftripz Referral Program. 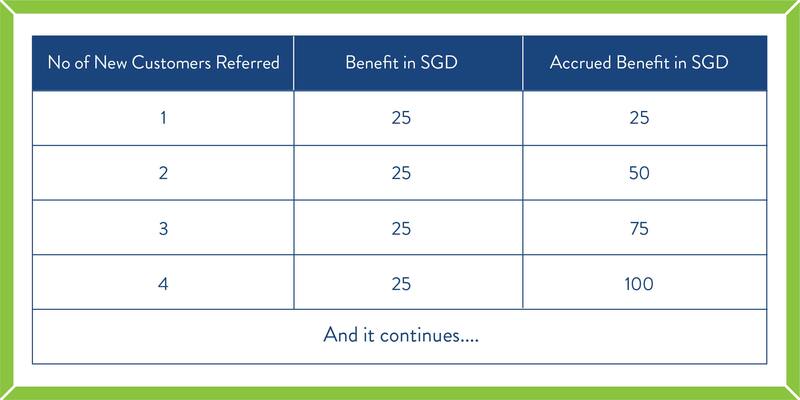 Refer as many as you like, and earn SGD 25 for every travelling customer. Existing Golftripz Customers can avail themselves of a benefit credit on referring new customers to Golftripz. This benefit credit will be passed as discount on the future packages booked by the customers with Golftripz. The Customer will receive an email with a Benefit Credit Voucher from Golftripz. The Customer must refer to this voucher when availing the benefit. The Referred Customer/s should provide their complete details including flight tickets for Golftripz to verify that the referred customer is travelling on a Golftripz package for the first time. Customers who have already enquiried in the past with Golftripz or new customers who have received a quotation from Golftripz for a fresh package/s less than 14 days before will not be permissible as Referred Customers.